« Day 3 – All Creatures Great and Small – 61 Miles – Done! A glorious day awaited us the next morning and what a welcome for our first guest rider, Sean Montgomery. After the essential meeting with Ollie, Rose had arranged a daily (or so Sean thought) ‘inspection’. This involved some serious blowing down a tube (alcohol test) and the deposit of a small sample in a cup (another test….). Each of the riders duly performed behind the van, the props department working overtime with cups of water (samples) duly thrown into the bush. Sean’s turn next. Before we know it Sean is blowing down rose’s make shift tube and then goes round the side of the van and deposits a real sample. Doctor Griffiths then took over and tested the sample. When he reappeared with a replacement glass of orange squash and drank it, Sean knew he’d been had. With the fun and games over and the initiation complete, we set off. 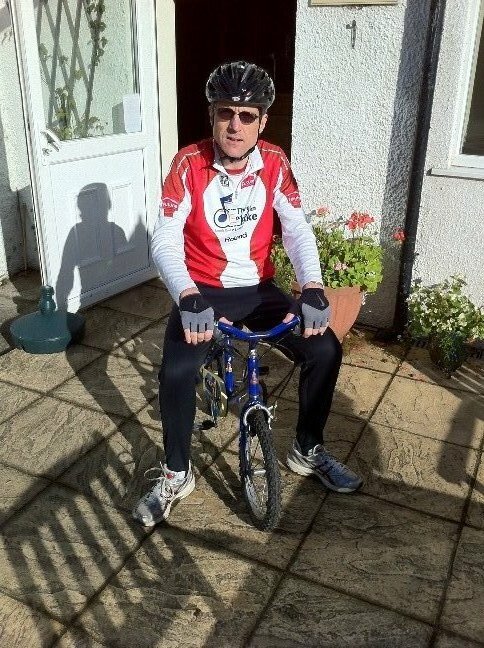 Fair play to Sean who rode brilliantly for all 58 miles – his only comment on the day was in reference to his very sore ‘nads’. 3 o’clock saw us rendevoux with guest rider number two, Howard Jones. I’m so grateful to Howard for joining us and supporting three men during his busy touring schedule. Kit out in our three men kit, all nine of us rode triumphantly into Poole and an Absolutely fabulous welcome from Alan and his team. 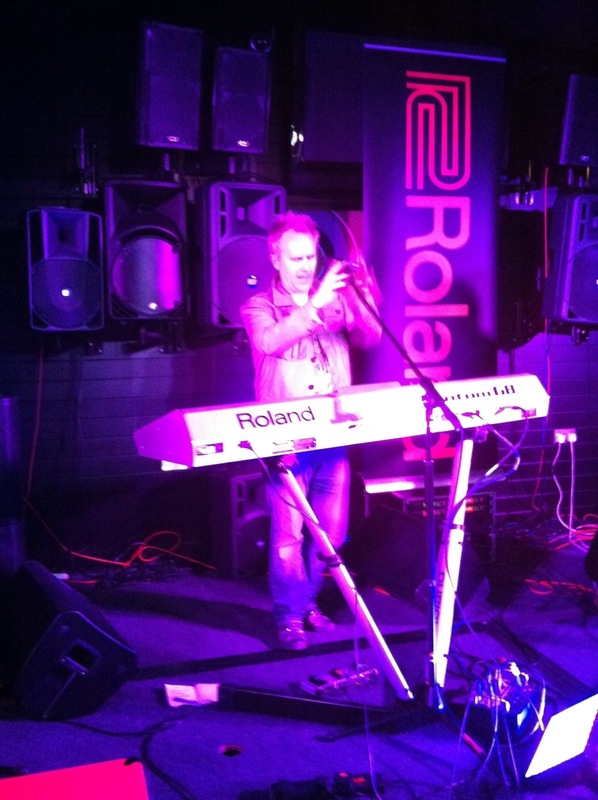 This evening we’ve enjoyed fantastic musical entertainment with performances by Roland, Peavey and Sound technology before the headline act Howard Jones reminded us just how quality songs stand the test of time. Thank you to Alan and the team at Absolute Music for supporting with this event and helping us raise even more funds for our chosen charities. Next stop Portsmouth…..
Print article This entry was posted by Editor on October 4, 2010 at 9:27 pm, and is filed under 2010 Ride. Follow any responses to this post through RSS 2.0. You can leave a response or trackback from your own site.